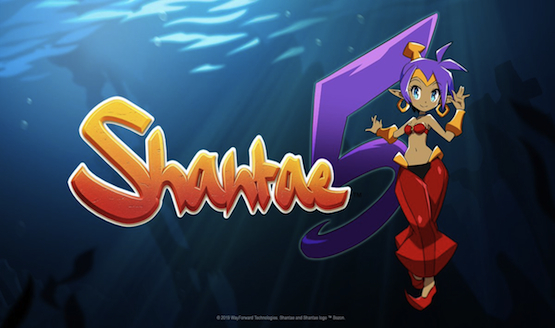 WayForward has pulled a (half)genie out of the bag and revealed that a new game in the Shantae series, currently entitled Shantae 5 will be arriving this year. Not many details have been given about this installment, but we do know that this adventure will be launching on the PS4, Xbox One, PC, Switch, and the recently announced Apple Arcade subscription service for Macs and iOS devices. WayForward has been very busy lately as it is also helping with the development of Bloodstained: Ritual of the Night from Castlevania veteran Koji Igarashi. Igarashi said on KickStarter, “As you may already know, they are top-tier when it comes to side-scrolling action games. There is even a staff member who previously worked on one of my projects, which is incredibly encouraging.” The Shantae developer has been assisting the studio with improvements to the game and bug fixing. Shantae first began on the Game Boy Color with a late release in the portable console’s life on June 2, 2002. It has since received three sequels: Risky’s Revenge, the Pirate’s Curse, and Half-Genie Hero. The latest Shantae game was crowdfunded on KickStarter in 2013, with $776,084 raised, but it seems Shantae 5 will not need the backing of its fans. Half Genie Hero’s 2016 debut enchanted players with its highly polished platforming and charming art style. Have you tried the Shantae games? Are you looking forward to the next entry? Let us know!